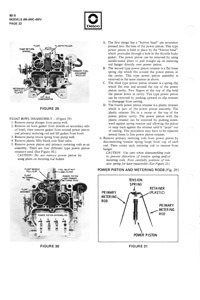 Complete service manual: Comprehensive factory service information for Rochester Quadrajet 4MC and 4MV carburetors. Includes theory, diagrams, detailed specifications, tune-up data and complete overhaul procedures. 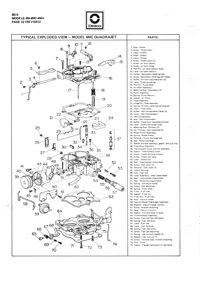 Covers 1970-1974 Cadillac Rochester 4MV carburetors, 1967-1974 Oldsmobile 4MC and 4MV applications as well as marine and industrial Oldsmobile engines. 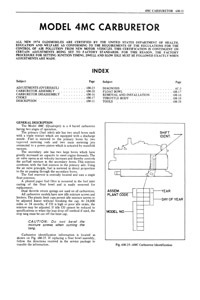 Includes adjustment specifications for all 1966-1979 Quadrajets as well as a detailed troubleshooting guide.